These beauties will be releasing tomorrow, 4/24/15. 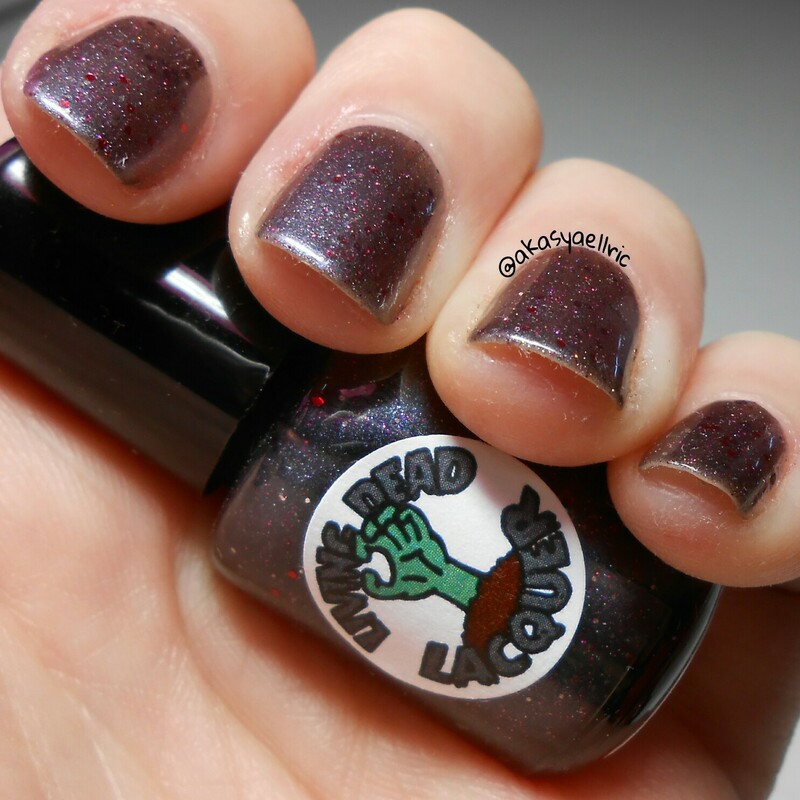 Living Dead Lacquer is a newer indie brand with great quality polish, plus the owner, Hilarie, is super nice as well and a nice owner is always awesome to see! All three polishes dried quickly with no smudging. Up first I have Mark XLIII, inspired by Iron Man. As you can see Mark XLIII is a beautiful shimmery red with small gold hexes. 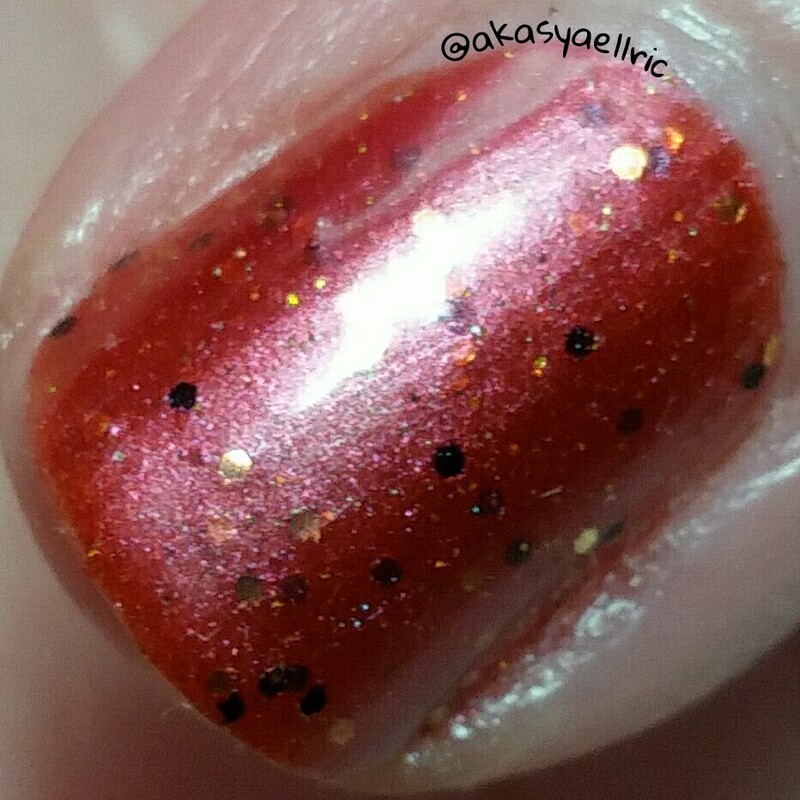 I used three coats, but opacity could be reached at two to three coats, depending on how think you put it on. 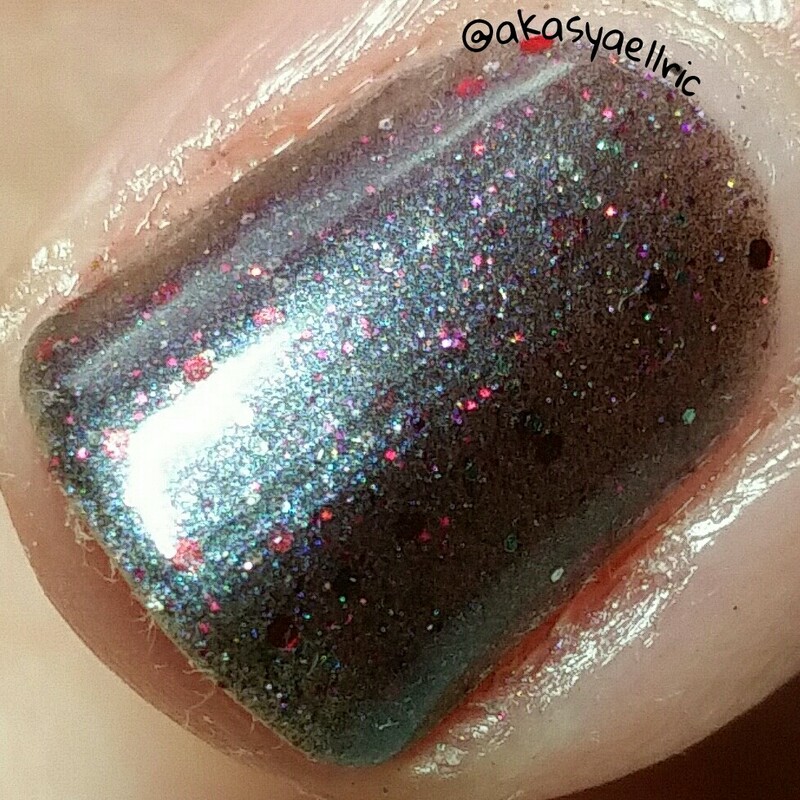 Products used: Dainty Digits Polish Glitter Be Gone basecoat, Living Dead Lacquer Mark XLIII, I, A.M CustomColor DiamondPRO topcoat. This beauty is No Strings On Me, inspired by Ultron himself. 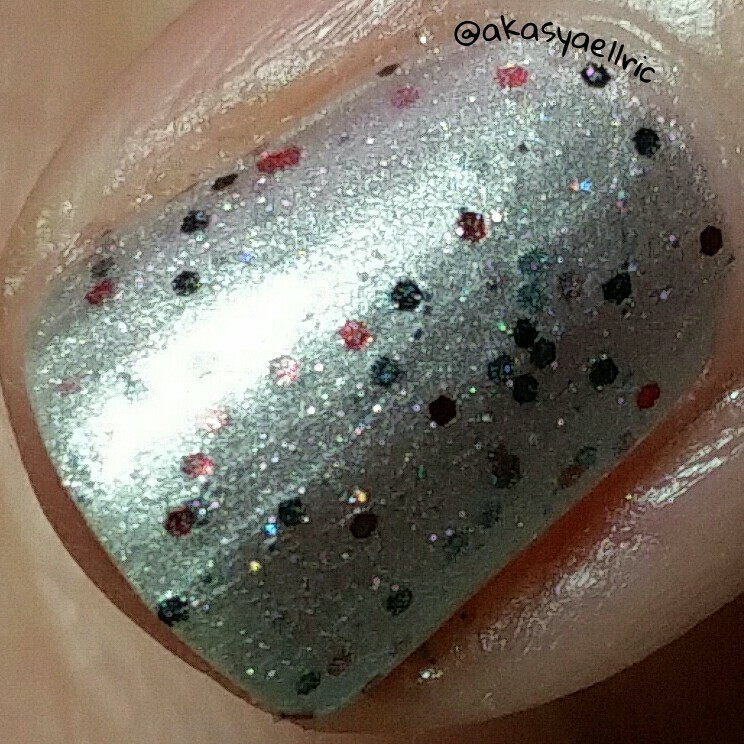 It’s a shimmery silver with small red and black hex glitters. Opacity can be reached in two to three coats, I did three here. 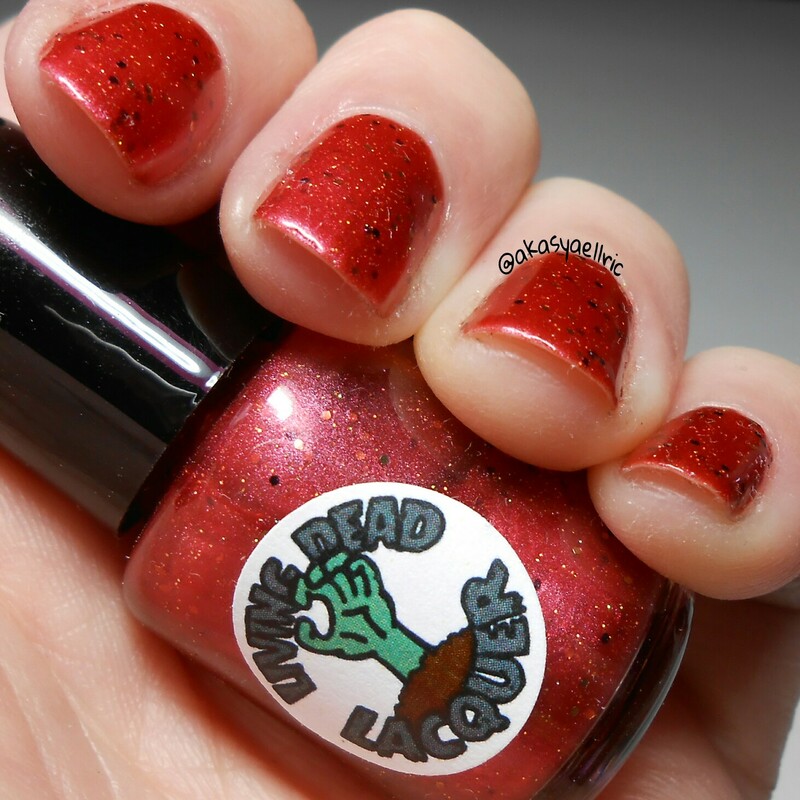 Products used: Dainty Digits Polish Glitter Be Gone basecoat, Living Dead Lacquer No Strings On Me, I, A.M CustomColor DiamondPRO topcoat. This is Super Soldier, inspired by Captain America. 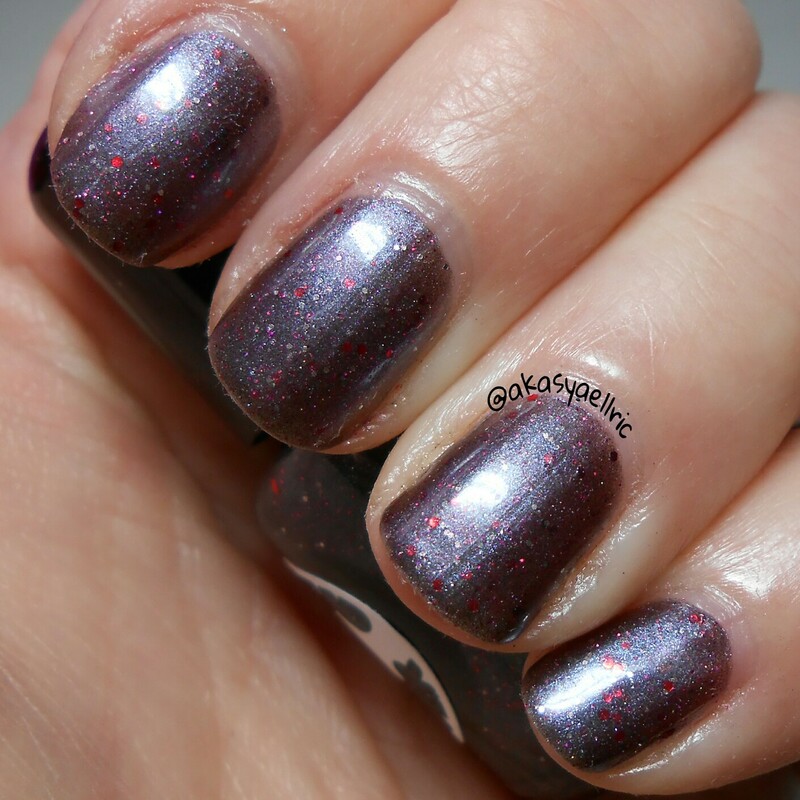 This polish can look almost black on your nail but has this wonderful flash of navy when you move your fingers around. It’s very beautiful in person, and probably my favorite of the set. It has small red and silver glitters throughout as well too. 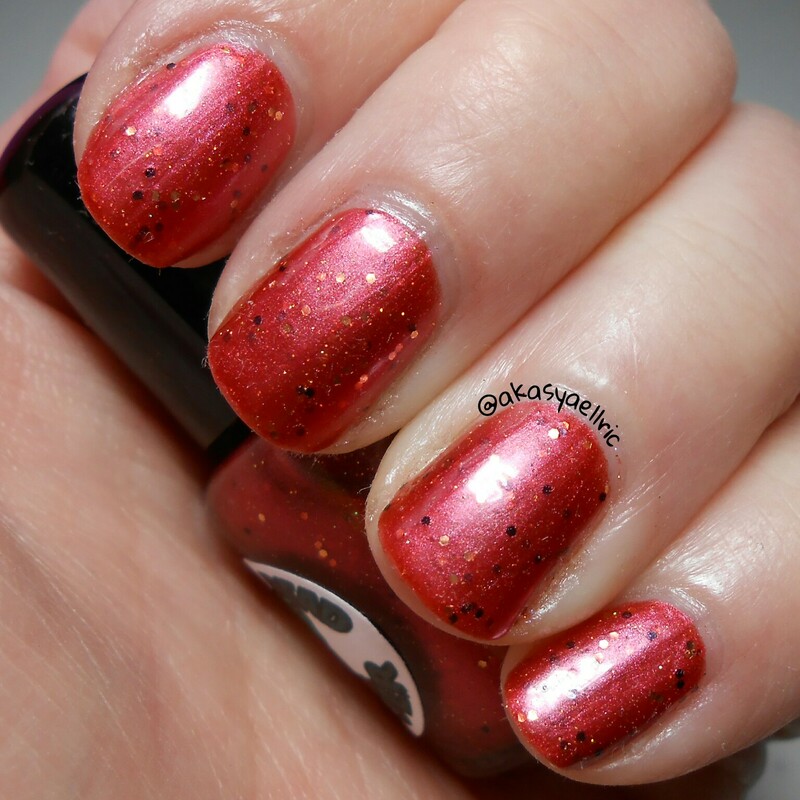 Opacity in two to three coats, I did three here. 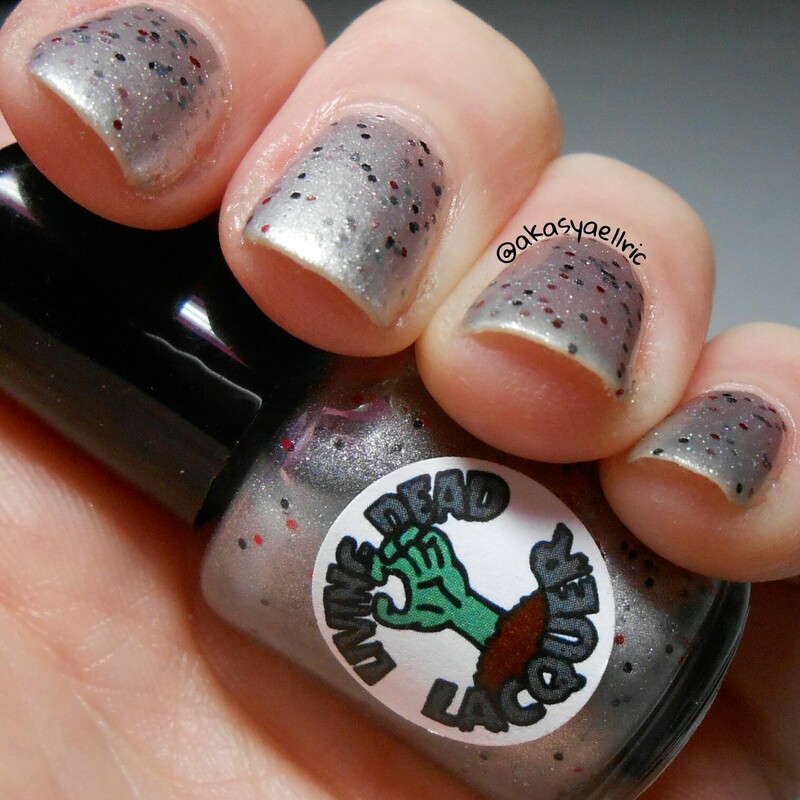 Products used: Dainty Digits Polish Glitter Be Gone basecoat, Living Dead Lacquer Super Soldier, I, A.M CustomColor DiamondPRO topcoat.